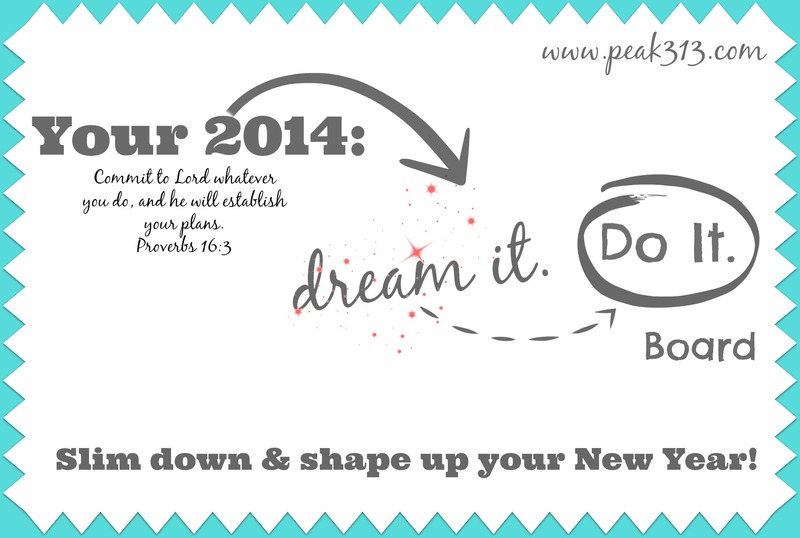 Your 2014 “Dream it. Do it.” Board : Slim down & shape up your new year! Hey everyone! I took the month of December off of blogging and social media so it’s good to be back! January is a time for us to refocus on the new year. I know that for many of you, shaping up physically is at the top of the list. I think the fact that we are coming off of “season’s eatings” plays a big part into it! (I always wonder how our New Years resolutions would change if they didn’t fall after 2 months of tons of food in our face!) If you have followed me for any time though, you know that my main goal and purpose in life is not to just get you in shape physically, but also in every other area of life. I truly believe that when you have better control of your life–finances, relationships, your attitude, your time, and so on–you are more apt to start and follow a physically fit life! So instead of doing a physical challenge for January, we are going to do a little series instead, but it’s one that requires YOUR participation and it’s one that will examine a few areas of your life. The vision board can be focused on a specific subject in life, say, relationships, or health, or can just be all-encompassing! I am going to step you through creating your own “Dream it. 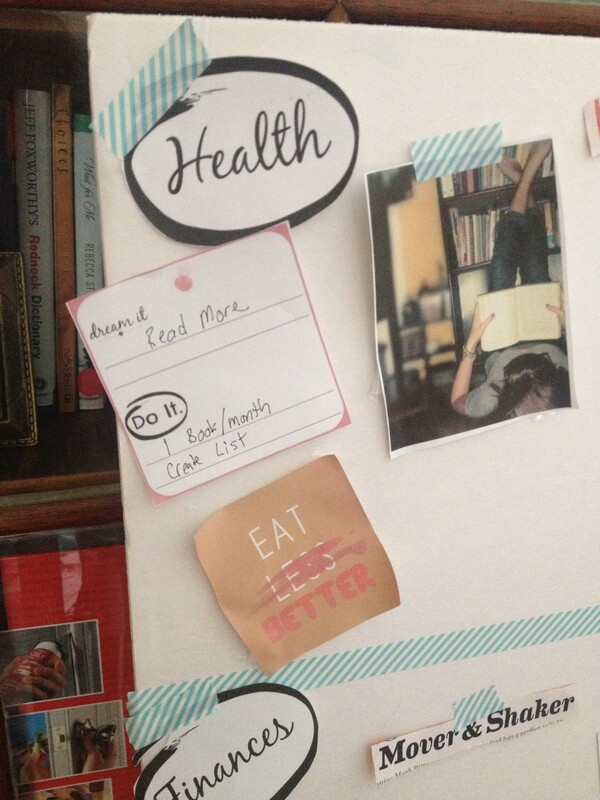 Do it.” Vision Board for 2014! I am really excited about this and I’ll be doing it with you! Here are some pics of mine (so far) and a quick video introducing the series! Why do we do vision boards? First, it helps us to think through what some dreams are for our lives. Next, it helps make those dream more real and concrete by having us purposefully focus on choosing which are most important. Finally, they are great reminders for us when we get off track. Visual reminders are excellent motivation for people. I have a couple quotes and scriptures on my desk where I write that I reference often which really helps me focus and brings me back to why I do what I do. Hopefully these vision boards will be a point of inspiration for you throughout 2014 because let’s be honest, we’ve all felt like quitting. 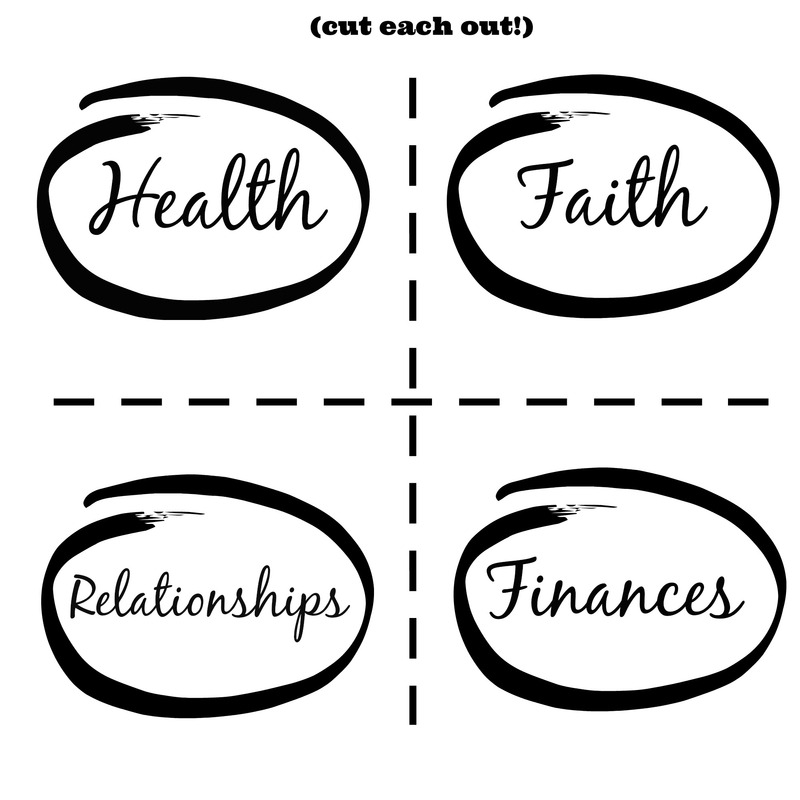 I’m going to take us through 4 weeks of examining 4 areas of our lives. This will be a work in progress through the month of January, but by the end of it, you all have something tangible that you can hang up in a spot and reference as the year progresses. Remember, a vision board doesn’t promise that these things will come true! Hard work, purpose, and planning are all a part of the next step, so now that you know where you are headed, let’s figure out how to get there! We are going to take these vision boards just one step further and I’m going to ask you to write a “do it” plan for a few of your dreams! Use this template below, or something you may prefer, to fill out and paste on your board. (Maybe even in an journal you refer to often) Create one “do it” per topic, or maybe two, but don’t overwhelm yourself. Remember–winning small is a game plan that always works! Pick just a few small things and stick to it! Click image below or here! – Pick: Time when you will “do the work” for the board. It might be right after you read this post, or on Wednesday night right after the kids go down to bed. Believe me–time just won’t “pop” up, so work it into your schedule! – Pray: That God would guide you and give you wisdom and clarity as we work through this project this month! Also, this vision board can be done individually or even as a family! What a great way to find some purpose for your family for the year as you all pray about and pave the way for success! Who is in with me! (I’m totally doing it with you!) If you are, comment below! I’ll see you back here Monday, January 6th! LOVE this idea, I can’t wait to get started!! Thanks for all you encouragement and advice! I’m a fairly new mom who gained A LOT of weight during pregnancy and almost have it all lost thanks to your posts! Now if only I can lose my “marriage” weight and get back to my pre marriage weight in 2014. Thanks again and God Bless! This is the perfect compliment to my goal setting for the year. A great visual reminder and focus piint. Excited to join in on the challenge! I love structure and missions, this works GREAT for me. Can’t wait!! Im in! so excited, printed out and will carve out time to get this organized! I’m in! I have been meaning to do this for a while- hope this is the push I need to actually do it! I am in….. these are some new ideas for a DREAM board !! GREAT !! What a neat idea!! I’ll try it! Thank you SO much for doing this! I’ve been brainstorming a vision board of my own for a few days but had yet to put one together as I couldn’t think of a way to organize one to include everything I wanted! 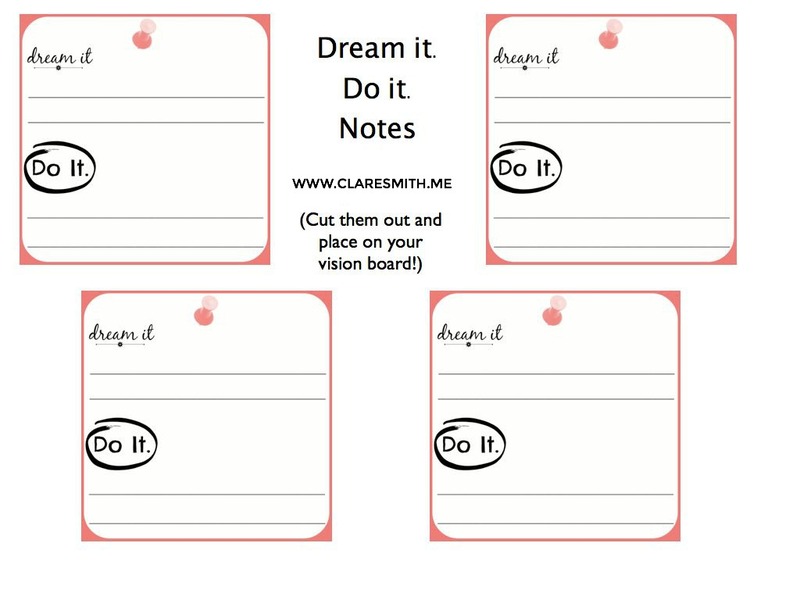 I LOVE the ‘Dream It, Do It’ tagline and to know you’re doing this with me and I am not alone is such a blessing! I can’t wait for each Monday in January to help guide me through this, I am so thankful! I’m excited about a new year and the changes being made in my life!! This will be a wonderful way to visualize my goals!! I’m in! This is exactly what I need! Thanks! I am in. Thanks for the helpful suggestions on getting started. Thanks. Thank you for this idea! I have been stewing over your stewardship/discipline/pleasure post, and I’ve decided to make 2014 a year focused on stewardship in the four areas you listed. I’ve been curating a Pinterest board, and now I am going to make an actual board too. I’m in. Thanks for giving something tangible that I can put up to remind me of what I want to accomplish. I’m in! Can’t wait!!! I think I am going to go find a bullentin board to use for mine – that way, I can re-use it for 2015!! Love this idea and have foam board on my list. Awesome! I’m in! I really like the Do it part. That’s the part I need help with. Hopefully this will spur me on. I’m in! Just what I need! Haven’t done a cision board before and might be just the motivator I need! I love this! I’m in! Yes!! I LOVE this January challenge; I’m definitely in. Thank you for doing this. This is something that I really need to help me stay focused. This is also something that will help me stay accountable because without writing it down I will fail. My daughter and I are each working on a board right now! I love this! Fits right into a book I just started that talked about vision boards so this is a great fit. Starting the board today! I’m in! I am in. I love a vision board. Haven’t done one in awhile. It is amazing tho that one I did many years ago for the home I wanted, the pictures look like the home I have. I am so excited to create my board! Thank you! I really like this idea, so please count me in. 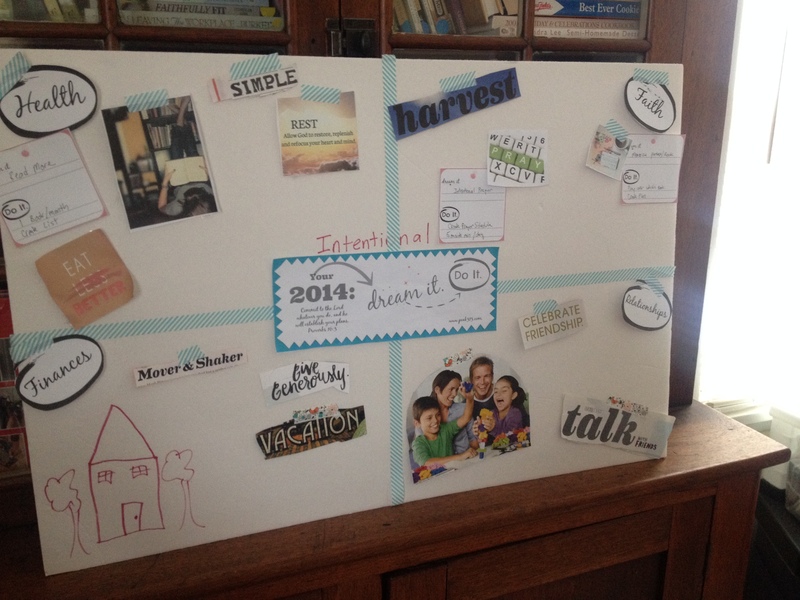 Claire, I made my first vision board during a Women’s Leadership Academy. Looking forward to it! My coder is trying to persuade me to move to .net from PHP. I have always disliked the idea because of the costs. But he’s tryiong none the less. I’ve been using WordPress on various websites for about a year and am nervous about switching to another platform. I have heard fantastic things about blogengine.net. Is there a way I can transfer all my wordpress content into it? Any kind of help would be really appreciated! I’m in. Sounds like a great way to start the new year!! Wow! If this doesn’t get the motivation juices flowing I don’t know what will. Thanks – I’m in! I made a vision board just for my fitness goals 4 years ago and it was a huge motivator for me! I’m in! I’m in. I love how practical this is. I am in :)!I have done something like is in the t when I lost 30lbs for my wedding and I really loved it but never to this xtent with the different areas in life which I really think is neat :)!.thanks for doing this! Never done one before. Looking forward to it! I would love to do this. I’m in. I’m excited to do this! I’m in!!! I am totally in! I have been wanting to do one and I am very excited to do this with you all! I have my list ready of things to buy at the store so I can do this! I haven’t done a vision board before..this will be my first! Looking forward to the process. I’m in!! Never heard of a vision board before but look forward to trying it out. I can’t wait to get this started. I think this will help me keep focused. Every year I have big plans for what I want the year to be like and never follow through. I have never even heard of one of these projects. I am so visual and can not wait to work on mine. Perfect Sunday afternoon project for me. Thanks for sharing and guiding us in this endeavor. So excited to do this. Have tried one in the past on my own, but can’t wait to do this with everyone!! Thank you! I’ve been feeling quite overwhelmed with all the possible “resolutions” I could be making. I like this approach – it gives me permission to slow down, pray, and seek God for His direction and for Him to give me the dreams which I should be dreaming. It’s not a calendar thing – it’s a heart thing. Great idea. 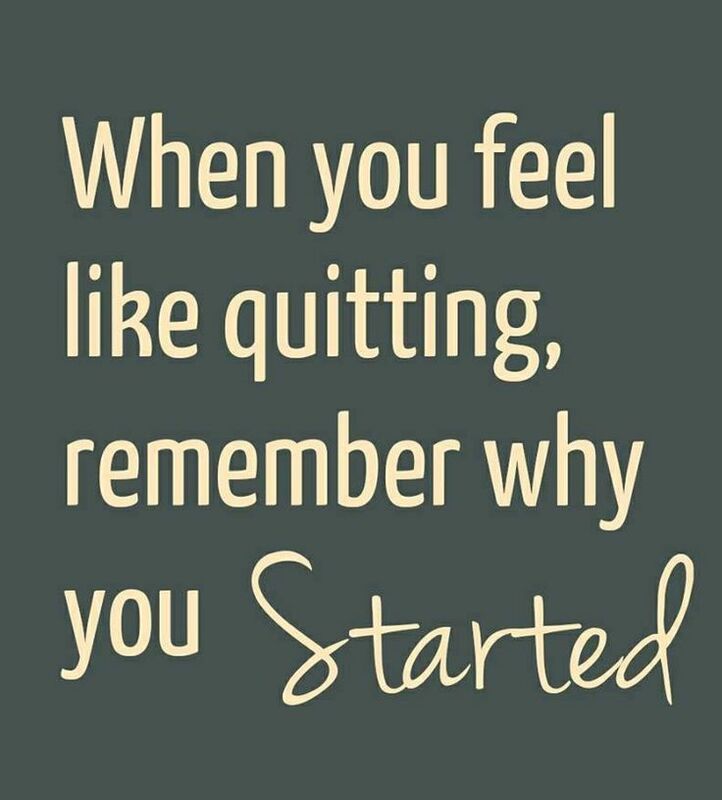 Love that it will help keep me focused on my goals. Love it! I just found your blog through Good Morning Girls and already feel connected! I’m with Dionne who just found your blog through Good Morning Girls…but I am so excited about catching up and creating my Vision Board for this year. I’m getting started late, but I’m going to jump in and do this; hopefully today, if not, I’m setting aside Tuesday evening. Looking forward to more purpose! Sounds like a great way to get focused. I am in.